It’s been a typical winter in the USA, with enough snow and ice to bring on an outbreak of ‘cabin fever’. But having a hovercraft keeps you immune – you’ll never get sick of being stuck indoors during winter months! John T. Stewart and his father John C. Stewart from Milwaukee, Wisconsin are a perfect example of those who broke the boundaries of winter by buying a hovercraft – and training to fly it expertly on all terrain, including snow and ice. are prepared for John’s first training session on the Wabash River. After a productive training day, the Stewarts accept their HTC flight certification. 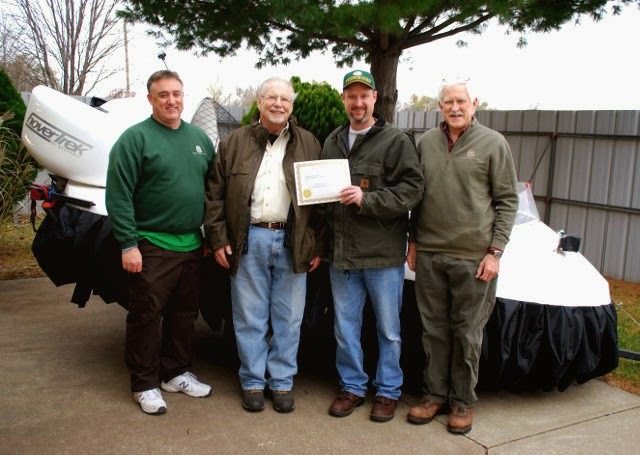 From left: HTC Flight Instructor Steve Stafford; John T. Stewart; John C. Stewart; and HTC Senior Flight Instructor Chris Fitzgerald. First responders, your Hovercraft Training Centers education doesn’t always end when you finish your training course: our instructors often conduct special practice sessions for our graduates. 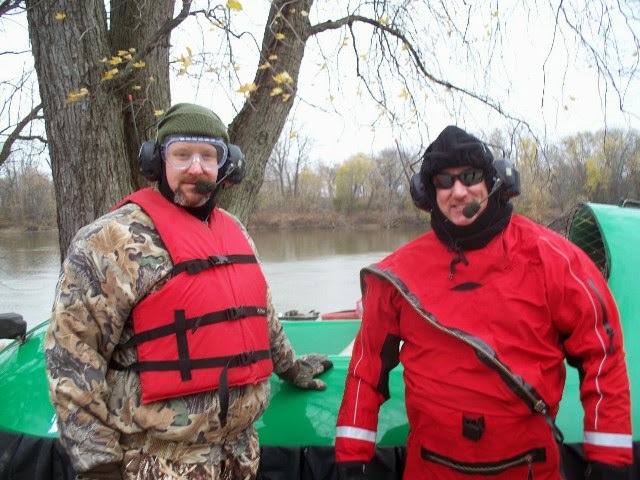 Last weekend the Perry Clear Creek, White River and Hazleton Fire Departments participated in an ice rescue practice with their Neoteric hovercraft on Calmuck Lake in Monroe City, Indiana, organized and conducted by HTC Flight Instructor, Steve Stafford. Steve is also Neoteric’s Law Enforcement Liaison and is the founder of Project H.E.R.O. (Hovercraft Emergency Response Operations). Our appreciation goes to Rodney Helderman who captured the day’s activities on drone footage – which illustrates how well the Neoteric rescue HoverTrek™, flown by professionally trained pilots, maneuvers on thin and broken ice. And our sympathy goes to Neoteric’s VP of Marketing, Filip Przybysz, who spent a cold day playing the role of the victim who fell through the ice! First responders: Could a hovercraft help you save lives?